Institutional Equities adheres to the highest standards of research quality and client service. Our experienced research, sales and trading professionals aim to exceed client expectations through a content-led platform. We provide our clients with macro research, sector and strategy research as well as company research. IndiaNivesh also provides extensively researched thematic notes and company and industry surveys. Additionally, we support our clients with information on derivative and quantitative analysis. Our research focuses on accuracy, relevance, depth of analysis, incisiveness and most importantly timeliness so as to enable our clients make well-informed investment decisions. Our niche investment ideas in small and mid-cap segments are well appreciated by our clients and have received many awards and accolades. Our institutional platform is backed by sales professionals with extensive experience and is designed to help institutional clients gain instant access to news, domestic and global economic developments, information on stock markets, individual stocks and sectors, and other relevant updates. With a keen focus on understanding a client's specific objectives, our sales force works closely with our research team to bring insight, actionable ideas and relevant market opportunities to our clients including interaction with company management. At IndiaNivesh, clients’ trades are carried out seamlessly, efficiently, objectively and with total confidentiality. We appreciate the need for speed in execution of transactions; and with our client-centric focus, we deliver each time. He has been instrumental in formulating the business strategy and recent initiatives of IndiaNivesh. He established Portfolio Management business, and launched SPROUT, which has been one of the best PMS performers in its category. 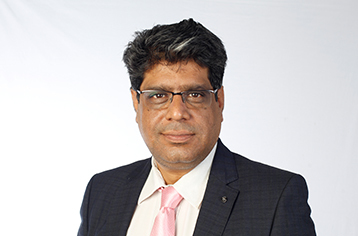 He has over 25 years of experience in the financial markets during which he has held key positions in Sharekhan, Ambit Capital and Morgan Stanley. He holds a Master’s degree in Business Administration. His experience of more than two decades lies in managing equity portfolios, equity research, corporate strategy and investor relations. Dharmendra was a Fund Manager at SBI Mutual Fund and Principal India Mutual Fund, and was also the part of the equity research team in various organisations. In his last assignment at SBI Mutual Fund, he had also worked on setting up the Alternate Investment Fund (Cat. III). 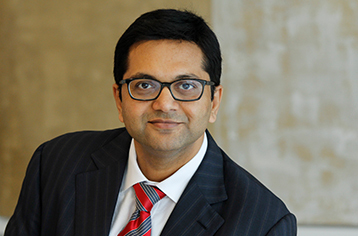 Dharmendra ‘s experience is a combination of the equity markets and corporate role having worked in the Corporate Finance function of Tata Motors. He holds a Post Graduate Diploma in Rural Management from the Institute of Rural Management, Anand (IRMA).